In this day and age of technological advancement, it’s been heartbreaking to witness the plight of thousands of people across the world who were impacted by the devastating earthquakes, hurricanes, and wildfires of 2017. I can relate to the helpless feeling of being impacted by a natural disaster. I survived the 2014 flood in Kashmir. In the middle of the night, in a matter of minutes, almost the entire Kashmir region was flooded, and most people were on their roof, waiting for help. I can never forget the seven days we were stuck on our house, uncertain about whether the water level was going to rise above our roof. We were lucky — because we survived — unlike many of our neighbors and friends. When I visited Texas earlier this year to meet some of the heroes of Hurricane Harvey — those who had toiled non-stop for many weeks to save the most — I initially faced some skepticism and a lack of trust of anything coming from Silicon Valley. However, as we got to know each other, and as they got to understand our mission and our model, lightbulbs began to go off about how data and data-driven response could help them prioritize where to send help to those who need it the most. It was in this moment that I realized, “One Concern” is our answer to the world. 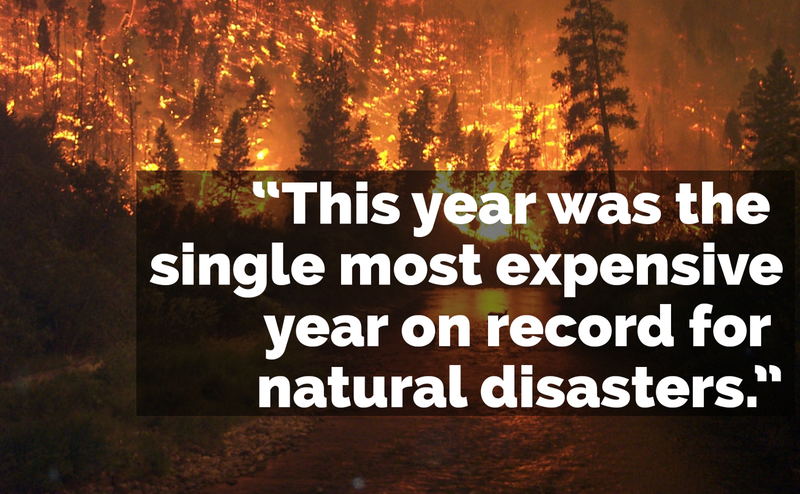 This year was the single most expensive year on record for natural disasters. In the U.S. alone, our communities suffered hundreds of billions of dollars in damage from catastrophic hurricanes, flooding and wildfires. As Governor Jerry Brown said earlier this month, this is officially “the new normal.” Since 1970, the number of natural disasters has more than quadrupled, causing more than 3.3 million deaths and trillions in damage in communities around the world. Urbanization and globalization are exacerbating the impact of these disasters. As we look ahead to 2018, the world needs to shift from recovery to resilience. It is no longer enough to simply weather the storm — our communities need approaches to predict impact and protect their citizens from the rising tide of disasters and extreme weather events. At One Concern, we’re on a mission to save lives and livelihoods through what we like to call “benevolent intelligence.” Our innovative platform combines machine learning, hazard modeling and artificial intelligence to protect communities before, during and after a natural disaster strikes. Our technology provides game-changing intelligence about disasters in real-time, enabling cities, businesses and the resilience ecosystem with predictive intelligence and actionable information so that entire communities can act as one to build for the future and better prepare for the impact of natural disasters. In two short years, we’ve partnered with cities including San Francisco, Los Angeles and other Bay Area communities to help build resiliency and protect citizens from the cascading and often crippling effects of natural disasters, beginning with our earthquake platform. I feel extremely fortunate to have met mission-driven people throughout this journey, in the form of team members, investors, advisors, friends and early customers. 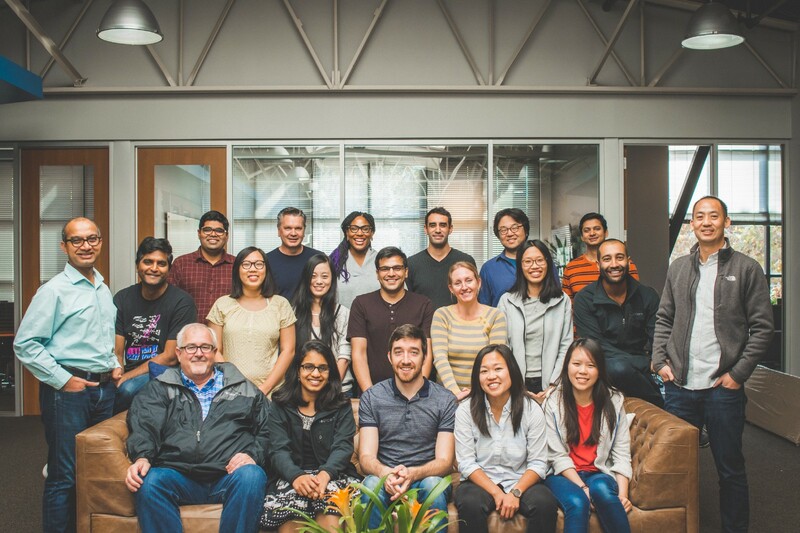 We are thrilled to announce our $20 million in Series A financing led by New Enterprise Associates, Inc. (NEA), one of Silicon Valley’s largest venture capital firms, bringing our total financing raised to $22.6 million. Scott Sandell, NEA Managing General Partner, and head of NEA’s Technology Practice, is the investment partner behind the world’s leading technology companies including Salesforce, Tableau Software, Workday and Bloom Energy, has joined our Board of Directors. Dr. Judith Rodin, former President of the Rockefeller Foundation, was the architect of the 100 Resilient Cities program, also has joined our Board. In addition to her leadership at Rockefeller, Judith also was the first female president of an Ivy League school, the University of Pennsylvania. And she led the commision to improve New York’s resilience under Governor Cuomo in the aftermath of Superstorm Sandy. Craig Fugate, FEMA Administrator (2009–17), joined the One Concern executive team as Chief Emergency Management Officer. Craig previously led Florida Emergency Management under Governor Jeb Bush, before joining FEMA in 2009, where he led more than 500 presidentially declared major disasters and emergencies under President Obama. Steve Howard, former Chief Sustainability Officer at IKEA, Founder of the Climate Group & Co-Chair, We Mean Business Coalition; Steve is one of the world’s leading authorities on climate change. Our company is future-proofing the world by combining human expertise, science, and machine learning to minimize the impact of acute shocks — including natural disasters like earthquakes, hurricanes, floods and fires, along with chronic stresses such as poverty, food security, and climate change. At One Concern, we focus on three things: natural disasters, climate change, and social equity. One Concern can leverage technology to minimize the impact of climate change and the increasing frequency of natural disasters. We’re equally convinced that we can alleviate the cascading and compounding effect that these events have on critical issues such as underlying socio-economic issues. Our vision is for planetary-scale resilience where everyone lives in a safe, equitable, and sustainable world. Futurist Ray Kurzweil believed society would create a “benevolent intelligence” to enhance human achievement. If leveraged effectively and generously, he envisioned technology solving the world’s most pressing challenges — from hunger and education, to energy and clean water. 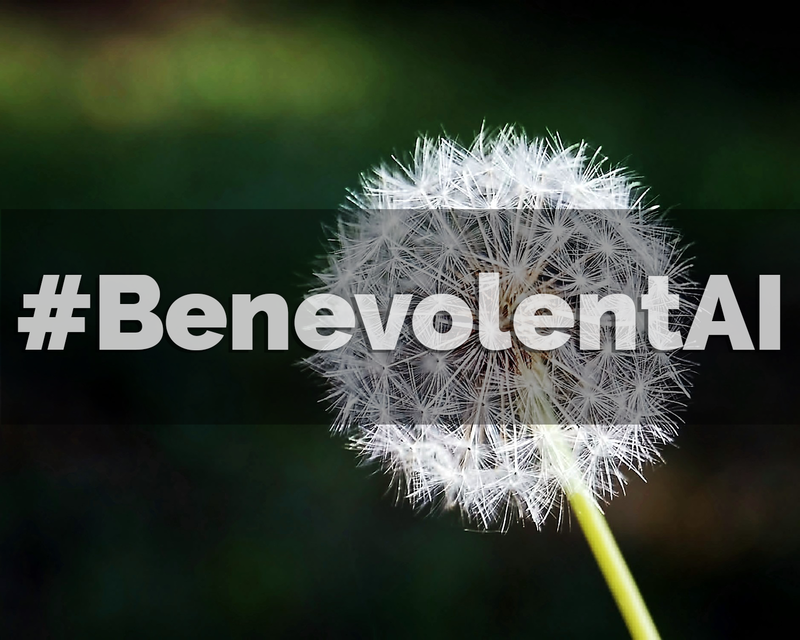 At One Concern, “benevolent intelligence” drives the way we shape and grow our business. We believe in the power of technology to shape communities. That’s why we are using “benevolent AI” to combat the impact of natural disasters, climate change and growing inequality around the world. We believe we can uncover unknown risks and build long-term resilience in today’s growing cities — saving lives, preserving livelihoods and building strong communities for the future. Our work is more critical than ever. In today’s world, we’re facing the growing threat of natural disasters, which are increasing in both severity and frequency. Because climate change and disasters know no boundaries, they impact everyone regardless of age, gender, political leanings, or economic status. We are innovating across several fields, changing the way our leaders understand manmade and natural environments and their interaction with society. Our AI-based technology will assign a unique, verified “digital fingerprint” to every natural or manmade element from the smallest rock to complete structures to mega cities and eventually, the entire planet. One Concern will provide insights across the entire time horizon — whether it’s days before a flood, minutes after an earthquake, or forward-looking policy and planning. Ultimately, we hope this will empower city leaders to create new local roadmaps — charting a course for more sustainable, prosperous and resilient communities around the world. Thanks to the generous support of our investors, advisors and friends, One Concern is doubling down on our mission. It all started with the encouragement from Stanford Professors Andrew Ng (a world-renowned AI scientist and founder of Coursera) and Greg Deierlein (the world’s leading authority on earthquake engineering), and with seed financing from some of our early champions who believed in our vision and promise. I thank them for their continued support throughout this journey. Finally, it goes without saying that I must personally thank my two co-founders — Nicole Hu and Tim Frank — for joining me on this journey. Without them, there would be no One Concern. I am ​grateful to some of our earliest believers and investors including ​Mar Hershenson and Pejman Nozad of ​Pear Ventures, ​Shaun Abrahamson and Stonly ​Baptiste of Urban.us, ​Sheel Tyle of Amplo.vc and ​Semil Shah of ​Haystack. From the One Concern family to the entire world, we’re incredibly excited about the road ahead. We know it won’t be easy. In our view, there are three pillars to our long-term success. The first is the team that we’ve assembled. They are all incredibly talented, mission-driven people with broad backgrounds. Forty percent of our workforce is comprised of women and 60% people of color. The second is the trust we’ve established with our clients who believe in us, believe in our mission to save lives, and believe in our long-term approach to resilience. The third is our technology approach. “AI” is clearly overhyped and has lost so much meaning. We’re redefining “AI” by applying it to social good. 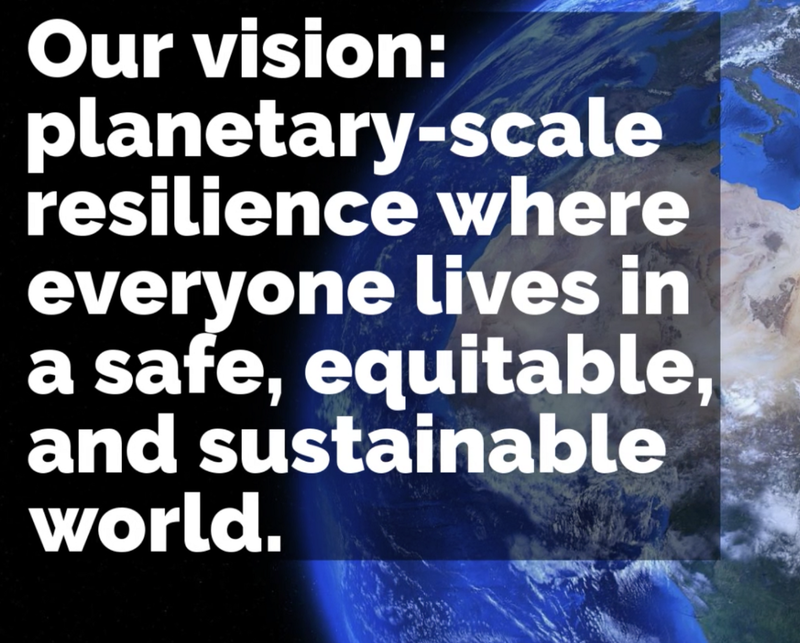 We’re excited about the path ahead as we march toward our long-term vision for planetary-scale resilience where everyone lives in a safe, sustainable and equitable world. Our mission is personal to us: we’ve lived and breathed disasters, and we’ve seen people injured, killed and displaced by them. We want to drive deep social impact and create a movement of champions, patrons, and heroes who are equally committed to the mission. I invite you to join us in the resilience movement! Our vision is for planetary-scale resilience where everyone lives in a safe, equitable and sustainable world.